A few months ago I took a trip to Chicago. If you know me at all you know of my great love of Fall Out Boy. And I know that Pete Wentz owns a bar in the Hard Rock Hotel in Chicago called Angels and Kings. So with 11 million cool things to do in Chicago, that bar was at the very tip top of my list. Like if I did nothing else, I was gonna go. And I did. When I ordered a drink, I asked the bartender to make me a vodka collins – and I was a little surprised to see him put cranberry in it. It was so good that I started drinking it that way ever since. 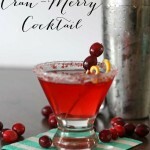 For my holiday party this year, I decided to take a nod from Pete’s bar and make something that was perfect for my holiday parties and make a spin on the popular Cosmopolitan – my Cran-Merry-Tini, other wise known as my Christmas Cocktail! Fill a cocktail shaker half way with ice, then add in ingredients. Shake for 10-15 seconds until thoroughly chilled. Pour into glass. Cranberry Sugar – in a food processor, blend together 2 TBS of dried cranberries with 1/2 cup sugar until mixture is finely ground. Use to rim glasses. 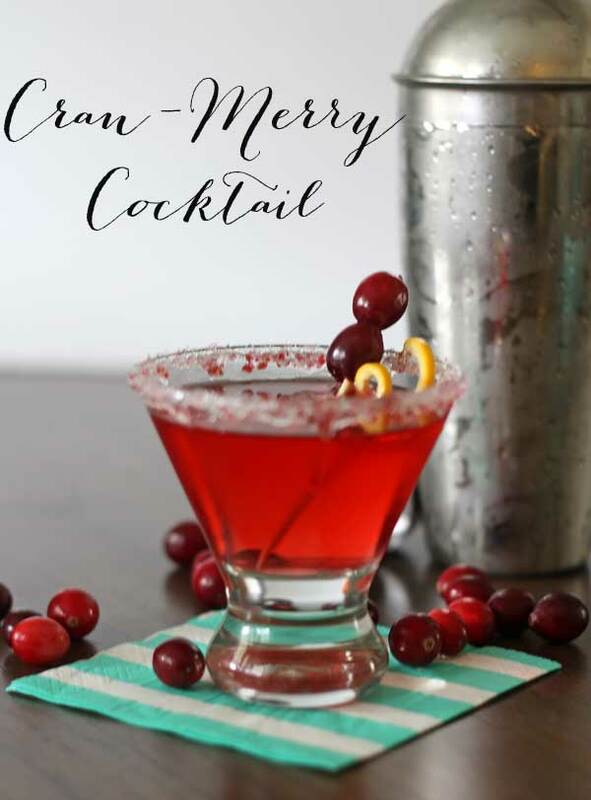 If you are serving by the pitcher – mix together 1 cup of vodka with 2 cups of juice (multiply if needed) and then use frozen whole cranberries in the pitcher to act as ice and keep cocktails cold. I’ve made these at a few get togethers with my friends this year (because I’m always the bartender) and they have always been a big hit. 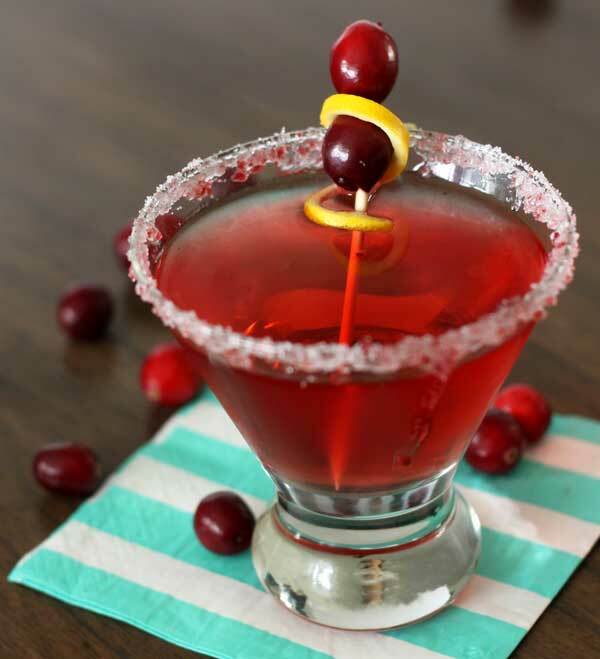 Even the people who don’t really drink or even like cranberry always rave – and ask for the recipe. So now you have it. Go drink, and be very, very merry! Sounds yummy, it is on my Santa list! I hope you enjoy it Marty! Excellent site you have here but I was wanting to know if you knew of any forums that cover the same topics talked about here?